With the first-overall pick for the first time in their history, the New Jersey Devils selected Swiss-sensation Nico Hischier at the 2017 NHL Entry Draft. Being selected first comes with a certain level of expectations. Not all of those expectations are entirely fair and they have dramatically increased in recent years, primarily because of what Connor McDavid and Auston Matthews were able to do in their rookie seasons. Next up is Nico. Hischier shot up the draft rankings during the season due to his torrid play at the World Junior Championships and with the Halifax Mooseheads of the QMJHL. He recorded 86 points in 57 games during the season and had four goals and three assists in five games at the WJC. The first-overall pick has been touted as a playmaker with great hands, good speed and a high hockey IQ. With many fans excited about next season, mostly because of Hischier, what can be expected for the Devils’ best new prospect? After dominating last season, Hischier proved that he is ready for the NHL next season. Any time a player can take over a tournament like the WJC, it shows they are something special. Hischier not only distinguished himself against the best young players from around the world, he outplayed them. He almost eliminated team U.S.A in the quarterfinal by himself. His performance led to serious praise from U.S. head coach Bob Motzko. Motzko and his coaching staff threw the kitchen sink at Hischier trying to slow him down but nothing seemed to work. They went as far as calling him the best player in the tournament. It is very exciting to consider who will be joining the Devils next season. 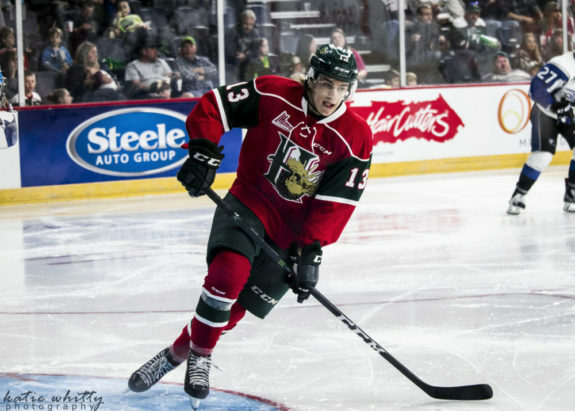 I doubt he’ll need another year with the Mooseheads as he has nothing left to prove in the OHL. Devils fans can expect to see #13 on the roster next season and for the foreseeable future. What McDavid and Matthews did as rookies was unbelievable, but that kind of pressure should not be placed on Hischier as both are generational talents and had better supporting casts when they broke into the League. The Toronto Maple Leafs are overflowing with young stars and the Edmonton Oilers have a good, well-balanced team around their star captain. 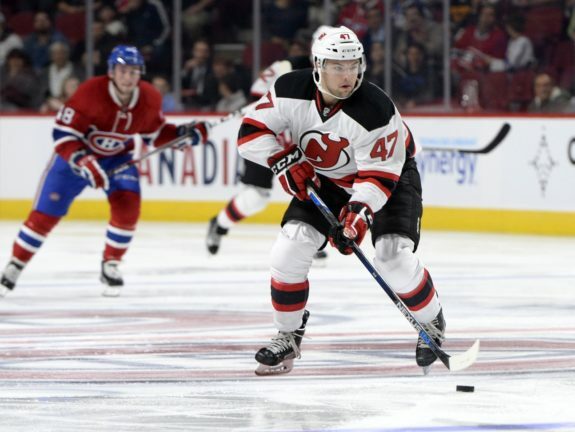 The Devils lack scoring up front and have a weak defense, to put it mildly. Obviously, not the best supporting cast for a prospect. However, the Devils do have a lot of young pieces and a solid goaltender in Cory Schneider. The future is a much brighter picture than it was two seasons ago. While I do think Hischier will become a star and a cornerstone piece for the franchise, he will not do it right away. I expect him to give solid production but nothing over the top in his first year. That is why I placed him on the third line in my offensive predictions. This will lead to a more balanced lineup, and hopefully more offense from the bottom-six, which has been rare for quite some time. As mentioned, the best spot for Nico will be on the third line. One reason for this is he will mostly be matched against the opposition’s third line center. With his skill and speed, he should do very well in those situations. Also, he will be given a solid amount of ice time without being overworked. Finally, he could play with John Quenneville and Stefan Noesen to create a dynamic trio in the bottom-six. Quenneville played his best hockey alongside Nolan Patrick with the Brandon Wheat Kings. Naturally, most players play well with fantastic linemates, but it is nice to know that Quenneville can keep up and even thrive with players of that caliber. His 73 points in 57 games for the Wheat Kings in 2015-16 is proof of that. Pairing him with Hischier will hopefully have the same effect. With two skilled players already present, it makes sense to add some grit and toughness to this line. Fortunately, Noesen brings both those things and has a good amount of skill. The former first-round pick of the Ottawa Senators in 2011 has decent hands and a good shot. His career trajectory has not hit the heights many thought it would, as he has played in only 46 NHL games over the past four seasons. However, with two skilled playmakers alongside him, Noesen may finally prove that he was worthy of a first-round pick and have a career year. I think Hischier will make the Devils’ roster for the 2017-18 season and have an impressive year. I would place my money on him scoring somewhere between 15-25 goals and adding 20-30 assists for around 50 points. It should be an exciting year for the Swiss superstar and Devils fans alike. Just take a look at some of these highlights! Ray Shero has the team moving in the right direction and they will become playoff contenders soon. Hischier will join Pavel Zacha and potentially Mike McLeod next season as the youth movement continues in Jersey and hopefully he will even exceed expectations.